Step 1 - All cars are equipped with a passenger compartment heater which is designed to utilize heat from the engine which is transferred into heated air which is then blown into the passenger compartment. 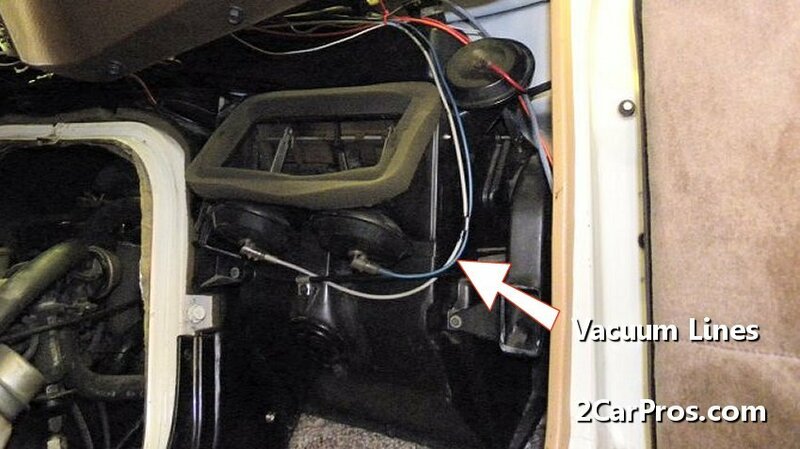 Step 2 - Once the engine has run long enough to warm up, the heated coolant is transferred into the heater core which is located inside the passenger compartment. 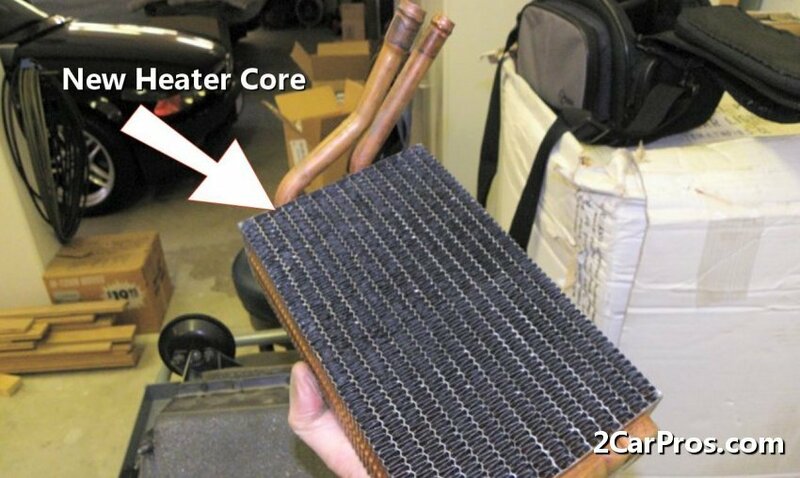 Step 3 - The heater and air conditioner evaporator core are housed in the same unit called a heater box or plenum. This unit is where several air deflection doors and ducts are located which divert air to various vents. Step 4 - In this illustration the heater box has been removed to show the air flow diverter door, this door swings from one opening to the next, mixing or stopping the air flow from one vent system to another. 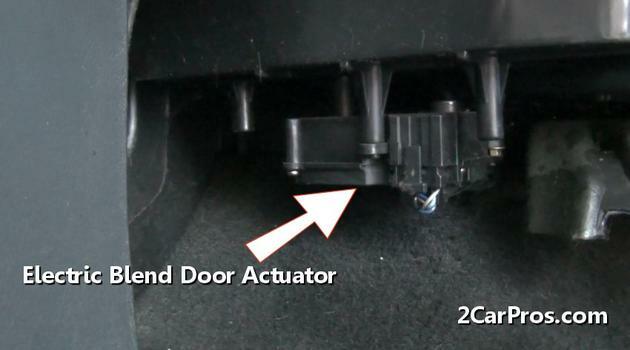 Step 5 - These air control doors are actuated by cable, vacuum or electrical servo motors which can be controlled using a manual lever, or automatically from a computer. 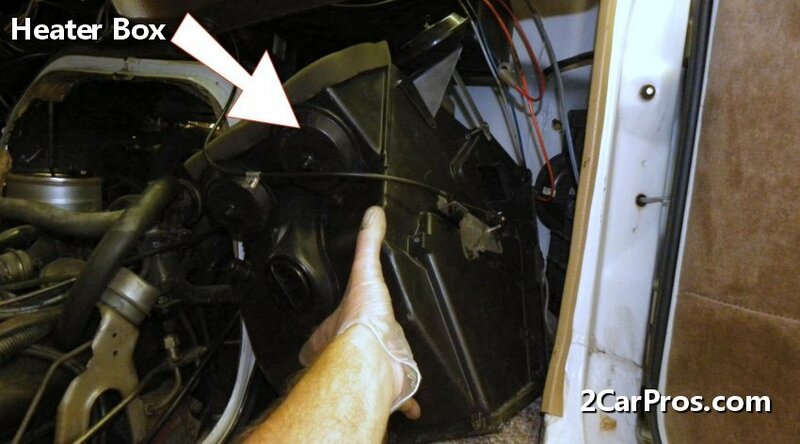 Step 6 - Electrical blend door motors are used to move a specific door which controls air vent outputs such as defrost, mid and floor vents. Step 7 - The heater core itself looks much like a small radiator, which acts much in the same way, by running hot coolant through the core while forcing air over it which delivers the heated air. Step 8 - When engine coolant is warmed its forced through the heater core via the water pump, if the engine coolant level is low the heater will not operate. Step 9 - A blower fan motor is used to push air throughout the ventilation system, which is controlled by the driver via the temperature control knob or climate control computer. 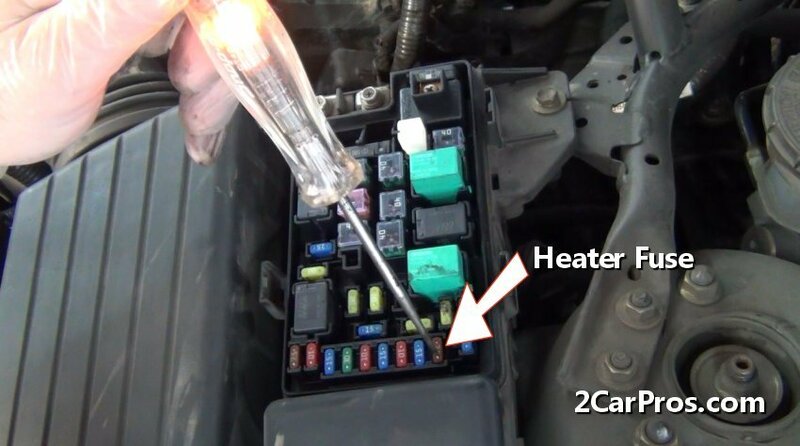 Step 10 - A fuse is used to protect the heater system which is located in the power distribution center and can be checked by using a test light. 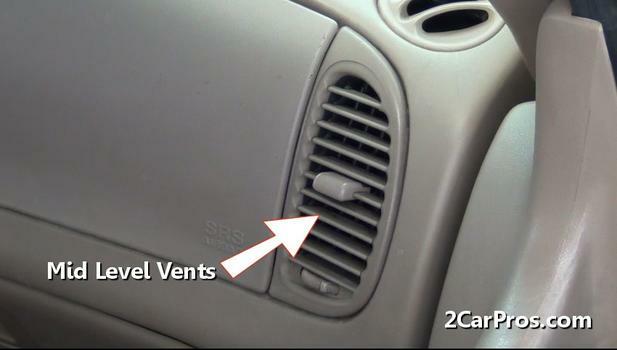 Step 11 - Warm air is pushed through the upper vents which are located at the front of the dashboard near the windshield. These vents are used to remove moisture from the inside of the windshield which helps improve visibility. Step 12 - The mid level vents are primarily used for passenger comfort, and have the ability to control and direct the airflow. 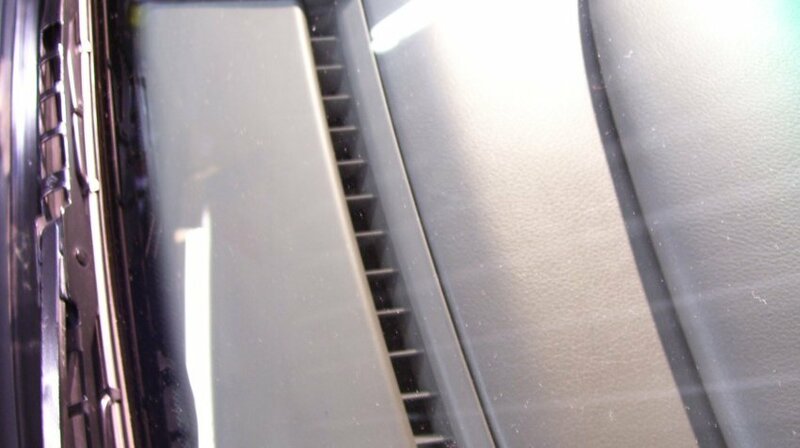 Step 13 - Heater floor vents are used to provide warm air to the lower portion of the passenger compartment. 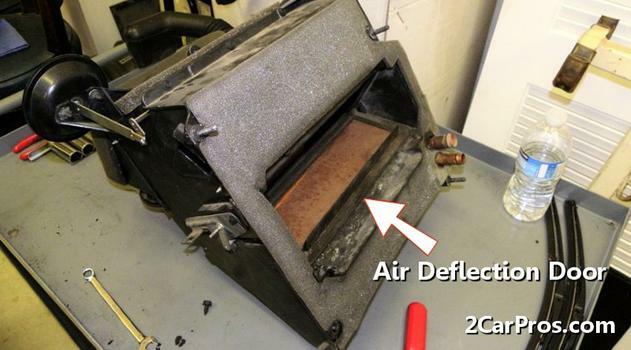 Many aspects of the heater system can malfunction which require repair. A air cabin filter is used to clean impurities from the air before it enters the ventilation system, when this filter becomes plugged it can slow the airflow in which case the filter needs replacement. 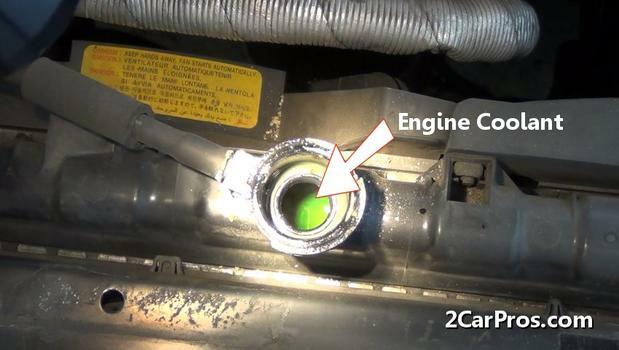 An engine coolant leak can develop which hinders the performance of the heater system, these leaks must be repaired before proper heater operation will return. 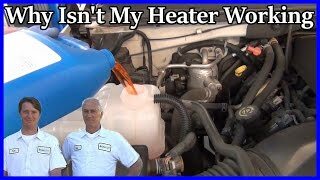 When a heater core fails, a coolant residue may be observed upon the passenger side floorboard, this will typically be accompanied by a sweet, pungent odor. 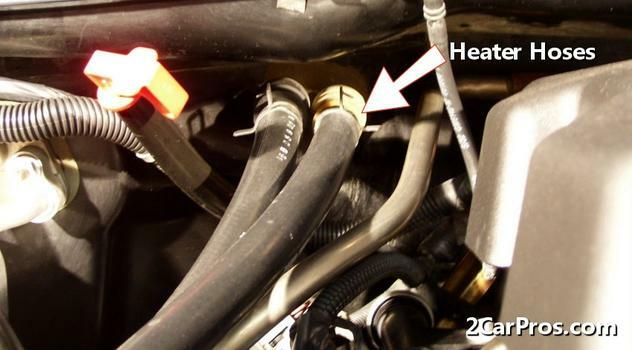 Most heater core inlet hoses can be identified by the diameter sizes of 1/2", 5/8" and 3/4". 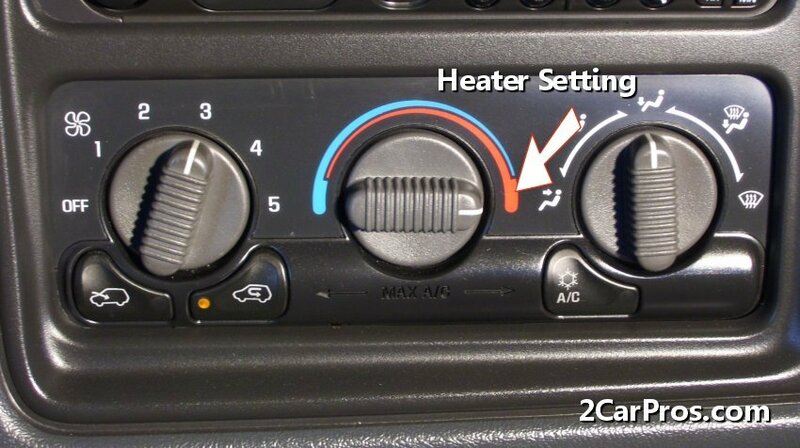 Heater system controls are adjusted by one of two ways, either a manual system is used which is adjusted by the driver, or a climate control computer responds to a setting, which is then automatically adjusted. Some manufactures have separated the heater system into passenger and drivers side controls which offer independent temperature adjustments. 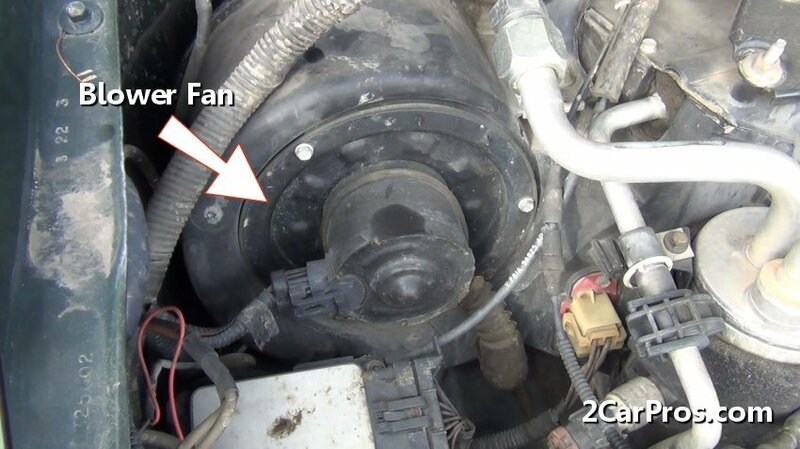 Some vehicles use a heater control valve which is used to stop the coolant from flowing into the heater core when the heater system is not being used. 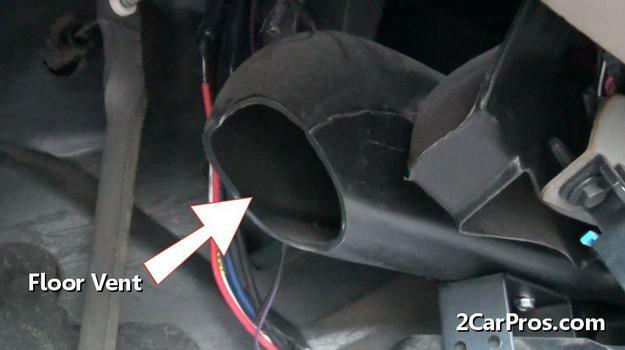 If an audible bubbling noise is heard from the heater core area (like a fish tank) its is due to air being trapped inside the heater core, in time, the air should dissipate to silence the noise. Seat heaters use an electronic element, not engine coolant to achieve the heating effect.